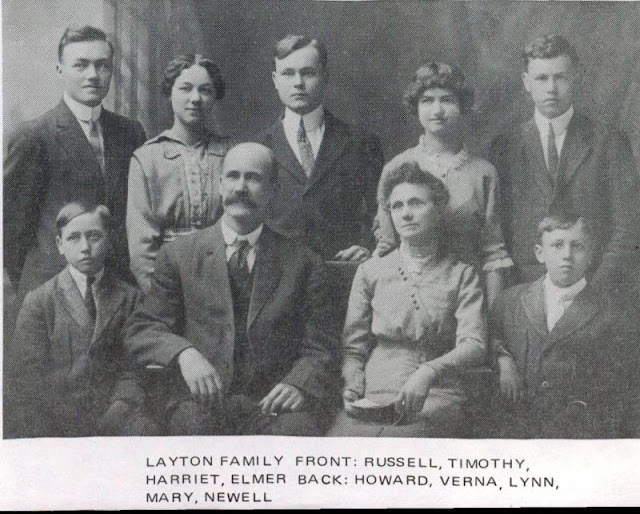 I learned today that when my great-great grandparents instituted family home evening in their house (August 3, 1921) they (1) kept minutes* and (2) gave everyone a calling, such as class leader, organist, chorister, and treasurer. They needed this last position because (3) they charged weekly admission—5 cents (in 1921, which is worth about 66 cents today), to be used "for some good purpose." Granted, by the time this particular notebook of FHE minutes began, the children in the home were mostly grown (my great-grandfather, Russell Layton, the youngest, was 18 years old; his oldest sister Verna (who was the scribe for the minutes) already was married), so this was more of an extended family FHE. The Lord a work he has commenced, its greatness none can tell. To gather up the righteous in Zion for to dwell. We are his sheep and know his voice. We'll follow none but him. To Zion he will gather us, his praises for to sing. To Zion we will go, will go. To Zion we will go. We'll leave this old sectarian world. To Zion we will go. Like others I have been a child, to Sunday school I went. With Bible and with testament I used to be content. But many things of which I read they said was done away. You see how pious I have been in my religious cloak. Until the gospel reached my ears from beautiful Nauvoo. I'm glad that I a Mormon am without the old complaints. I always am the happiest when I am with the saints. Then all ye saints fresh courage take and let us travel on. We'll overcome our every foe until our work is done. 1) For whatever reason I want to sing the chorus to the tune of A-Hunting We Will Go. I am almost positive that is not the tune. 2) My ancestors really enjoyed getting a dig in at their former religions after their conversion. Harriet's poetry is a little too acerbic to have ever made it into a hymnbook, which is my problem, too. All my poetry ends up a little...biting. And now I find that this comes from not only my mother's side of the family but my father's side as well! 3) In Harriet's defense, her father, William Jarman, "was a faithful member in the church to which he belonged, the Church of England," while her mother had been raised a Latter-day Saint, though she "did not have the opportunity of mingling with the Saints, as there was no branch of the Church in the locality in which she lived." After she got married she moved to Tadlow, England, where "she had to attend the Church of England as that was the law of the village, where the minister had jurisdiction over all the residents." Harriet continues, saying, "At the time of my birth, my parents were living in an old house with a thatched roof. They moved from a more comfortable home, being told they must move to this old house about two miles from the village because my mother was a Mormon. Father said if it was her belief, it was her privilege. "The house had two rooms, one upstairs and the other down. The one upstairs was so low that a grown person could not stand up straight in it." So, honestly, it sounds like being a Mormon in Tadlow, England, in the late 1800s wasn't exactly a joy. In 1876, when Harriet was 6 years old, her family located some missionaries and her eldest brother Lorenzo and eldest sister (Mary) Hannah were baptized and were "anxious" to join the Saints in Utah. It looks like Lorenzo, at least, succeeded in moving to Utah by 1878 (the same year their father was baptized into the church). * Here is a link to the FHE minutes. ** Here is a link to Harriet's autobiography. So awesome, right?! I hope this cousin can find more of his tapes! Also, I'm strongly thinking about charging my kids a fee to attend FHE. Haha! Well, Russell's nephew named Robert was a BYU professor and the father of Roger, who works in the library with me. Although, Robert is a common name, so there are probably more nephews or great-nephews with that name. Or at least, there could be. Because if Harriet meant Mormonville (can't think of the right word), is that not sectarian, too? Apart from the rest of us ("Gentiles") anyway? Note: in my world Zion was God's kingdom*, and Gentiles were non-Jews. 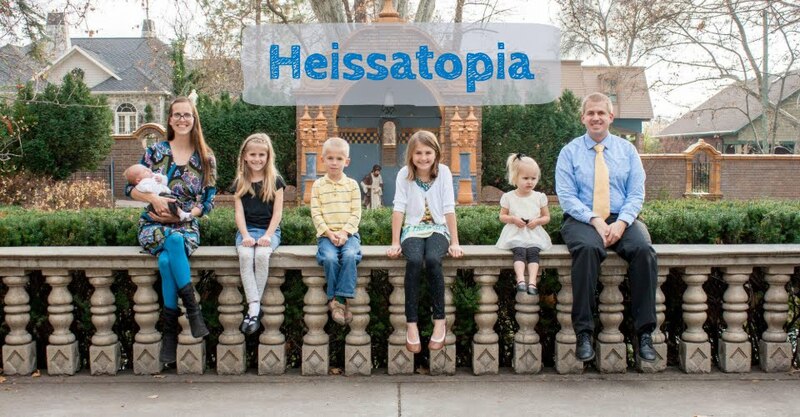 Interesting post, and so funny about charging your family to attend FHE! :) I'm going to check out some of those minutes! We have that song in our hymnal as well! :) I quite enjoy singing it! The sectarian bit had me wondering as well. It seems that back in the 1800s this word was used (at least by Mormons) to mean general protestantism. There are several instances of it being used in early church documents/journals. Even in Joseph Smith's account of his vision he mentions the "sectarian world." Rather than being a reformed sect of the Catholic church (as it could be argued many Protestant religions are—such as the Church of England, which Harriet was rather familiar with in her youth), we believe the church was restored through a prophet (a bit of christian primitivism). So I think that's the meaning in mind here, that she was once in a protestant faith but converted to a restorationist faith.